Quick tidbit, we want everyone to know that the Meet and Greet starts at 2pm, not 1 as originally stated. Vader would like to spend a little bit of time with the boss prior to everything taking place. We appreciate all’s understanding and see everyone at the festivities tomorrow! Have a great day! 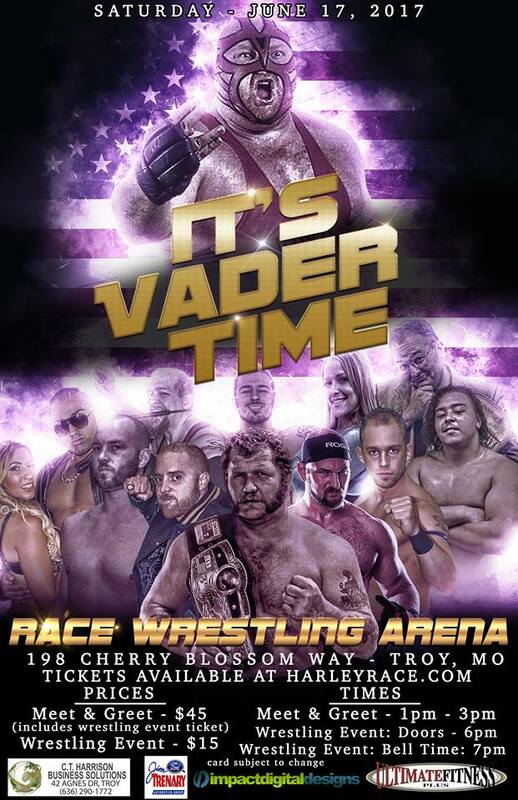 WLW would like to thank our sponsors for making tomorrow night’s event – WLW Presents VADER TIME! – possible from start to finish! Make sure you give these ladies and gentleman a huge thanks, and if you’re looking for some of the services and products that they offer, go to them! Jim Trenary Ford – Our friends over at Jim Trenary Ford have some of the best deals around on new and used vehicles! C.T. Harrison Business Solutions – Visit C.T. Harrison for all of your business solutions – big and small! He can do them all! Ultimate Fitness Plus – The official fitness facility of WLW Superstars here in Troy! This entry was posted on June 16, 2017 at 4:52 pm	and is filed under Uncategorized. You can follow any responses to this entry through the RSS 2.0 feed. You can leave a response, or trackback from your own site.